Children from upper key stage 2 took part in the annual GSSP cross country event at Watergate Forest Park. 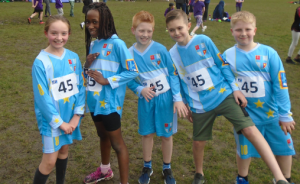 The children ran approximately 1750m around a challenging course in and around the park. They did fantastic and were excellent ambassadors for St Philip Neri.